MBD3, or methyl-CpG binding domain protein 3, is a protein that is a member of the methyl-CpG-binding domain (MBD) family, which also includes MeCP2, MBD1, MBD2, MBD4, CLLD8-like, and BAZ2A-like proteins. Although MBD3 is a member of the methyl-CpG-binding domain family, it is not able to bind to methylated DNA. It is a subunit of a multisubunit complex known as NuRD, which is involved in nucleosome remodeling and histone deacetylase functions. 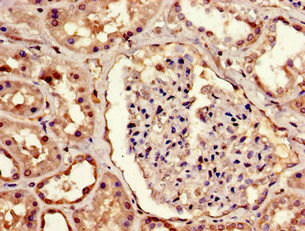 It is also thought to mediate the relationship of MTA2, or metastasis-associated protein 2, with the histone deacetylase core complex. 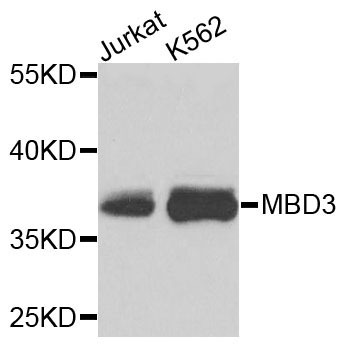 MBD3 Polyclonal Antibody. Unconjugated. Raised in: Rabbit.